When you are ready to schedule any residential or commercial air conditioning and heating services in Colorado Springs, CO, make sure that you contact the experts at Robbins Heating & Air Conditioning. We offer comprehensive heating, air conditioning, indoor air quality, home automation, and commercial HVAC services. No matter what it is that you need to make your home a more comfortable place to live or your commercial property a more pleasant place to work, you can count on our technicians to do the job right. Contact us today to get started. We fabricate our own sheet metal, offer high–efficiency comfort systems, offer a great maintenance plan and many of our technicians are NATE–certified. You can trust us with your comfort: we guarantee it. Robbins Heating & Air Conditioning provides air conditioning, heating, indoor air quality, and commercial services in Colorado Springs, CO and the surrounding areas. It should go without saying that you need a great heating system in this part of the country. The winters are just too long and too cold to take any risks with the quality of your heating system or the way in which it operates. Make the right decision and schedule your heating services in Colorado Springs with one of our fine heating technicians. When you do so, you are taking the first step towards protecting your comfort throughout the coldest time of the year. The winters may be cold enough around here to have you wishing for the heat of the summer season, but that does not mean that you will never want to cool down when the heat is at its peak. Your air conditioner is every bit as important to your overall comfort as your heating system is. You will use it quite a bit, so it is important that your air conditioning installation, repair, replacement, and maintenance services are completed by a skilled, trained professional. The simplest way to ensure that this is the case is to dial our number and to entrust both your comfort and your air conditioning system to us. We live in a beautiful part of the country, with healthy people running around and having great fun throughout the different seasons. However, this does not suggest that the air quality in our area is perfect, much less that the air quality within your home is even close to ideal. There are a lot of different problems which may develop with your indoor air quality in Colorado Springs, CO. That is why you may need the assistance of our indoor air quality specialists to help you get things back on track. Contact us today to schedule service. Technology makes our lives better in countless ways. So why not put all of the advancements in the comfort industry to use in your home? Speak with a member of our team today to learn more about all that our home automation services and equipment offer, including the Nexia Home Intelligence system. The open architecture platform allows you to personalize your home automation system in incredible ways. If you are looking for commercial HVAC systems of 25 tons and under, or any commercial indoor air quality products and services, then Robbins Heating & Air Conditioning is the company to call. Give us a call now to get started. We’ll make sure that your experiences with our residential and commercial heating, air conditioning, and indoor air quality services in Colorado Springs, CO are truly top notch. I thought I was going to have to get a new AC unit, mine being 13 years old. Frank assured me that they typically last from 15-20 years. He diagnosed the problem, replaced a capacitor, and did it all in a quick, professional, and friendly manner. Instead of spending thousands of dollars, I spent around $200. 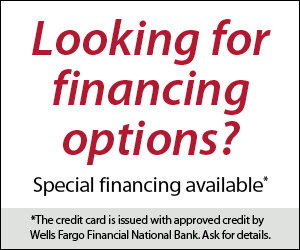 Special Financing or up to $1,000 in instant rebates Financing is 48 months at 0% with approved credit. For qualifying equipment. Restrictions apply, please call for details. Second layer of trust: use a third party to prove what work should be done on your system. More control: building owners or property managers can choose what fits maintenance plan best fits their budget. We write helpful articles for home owners and commercial building managers. Can't My AC Repairs Wait?